Come face-to-face with Michael Jackson, President Obama, Justin Bieber, Albert Einstein and more at the Grévin Museum in Montreal, the famed Parisian wax museum’s first location outside of France. 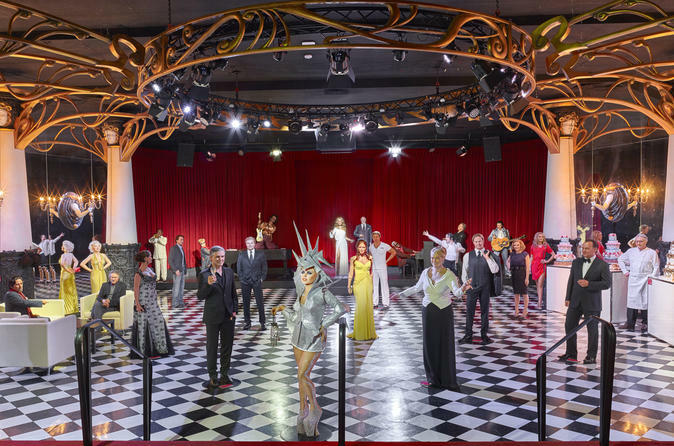 This family-friendly museum features more than 120 stunningly realistic wax figures of high-profile celebrities, world leaders, sports gods, famous scientists and more. You can also create a virtual wax figure of yourself! With your admission ticket in hand, head to the Grévin Museum, located on the fifth floor of the Montreal Eaton Centre. Grevin has been making renowned wax figures since 1882, and Montreal was chosen by this famed Parisian wax museum as the site of its very first location outside of France. Come face-to-face with more than 120 personalities who’ve made their mark on Canadian, Quebecois and French history. Meet hockey legend Jean Beliveau, singer Robert Charlebois, astronaut Julie Payette and actress Céline Dion, and snap a photo with Montreal’s mayor as you walk by. Marvel at the incredibly life-like figures of Barack Obama, Albert Einstein, Justin Bieber and Michael Jackson, as well as several other world leaders, celebrities, politicians, scientists and sports legends. Then, experience the know-how of skilled Grévin artisans as you explore the Grévin workshops. Take part in a virtual wax figure-making workshop and enjoy the immersive scenography by Montreal’s Moment Factory. You can also create a virtual wax figure of yourself! This colorful space will fill children with wonder and bring back the magic of earlier times. Meet Charlie Chaplin, The Little Prince, Justin Bieber and even an acrobat from Cirque du Soleil. Then there is Adam Jensen, the character from Deus Ex, whom you can interact with via video game animations. Mingle with Brad Pitt, Angelina Jolie, Al Pacino, Robert De Niro, Michael Jackson and Elvis Presley during a glamorous ballroom reception. Watch as they all dance to music performed by Ray Charles, Louis Armstrong and Céline Dion, among others. Spend a few moments with John Lennon and Yoko Ono who, like Steve Jobs, have taken rooms at the Hotel Grévin. Move from one ambiance to another as you walk through classy suites and peculiar rooms.